Enter the BIOS or UEFI settings by pressing your motherboard manufacturer’s designated key before Windows boots. This key is usually Esc, Delete, F2, F8, F10, F12 or Backspace, depending on the manufacturer. You can do an online search on how to enter BIOS, followed by your computer model. Once inside, navigate to the Boot Use the instructions found within the BIOS to change your boot order, and set either the CD-ROM or the USB port to be the first device, depending on whether your recovery drive is a CD or a flash drive. Boot from Windows install disc. Click Nextin the setup page after selecting proper language, time and keyboard input. Click Repair your computerand select Troubleshoot. Select Automatic Repairand select your operating system. In the Windows Setup dialog box, set everything to the appropriate values, select your language and click. In the lower left corner, click on Repair your computer, and choose Troubleshoot from the Choose an option screen. In the Troubleshoot screen, click Advanced Options,and click on Command Prompt. 5. Reboot your computer, and it should boot up just fine, without facing the issue again. 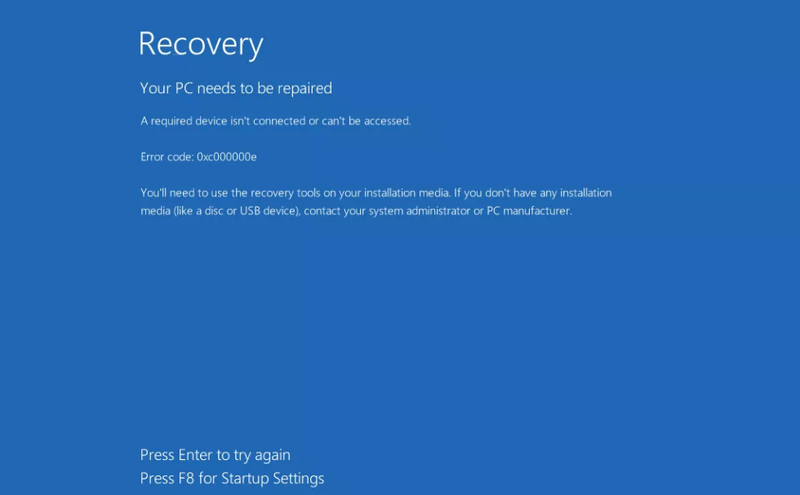 This method will also repair your OS with the command prompt of the recovery drive, and you should be able to boot into Windows without facing the issue again. Boot from the recovery drive, and follow the instructions below. 1. Use steps 1 through 3 from the previous method to get to the Command Prompt of the recovery drive. 2. Once inside the Command Prompt, type the commands below, followed by an Enteron your keyboard to execute them. The StartRep.exeutility corrects boot environment values and should fix the BCD error. Note that you might need to repeat this step multiple times in case it fails. 3. If the previous step of repairing Windows didn’t help, type bcdedit in the Command Prompt, to see the values for the Windows Boot Manager. 4. Note the values for Device. If they are unknown, type the following commands, each followed by an Enter to execute them. Note that you should replace C: with the partition where your operating system is installed, if necessary. 5. When the Command Prompt is done, close it, remove the recovery drive and reboot your system. It shouldn’t have any issues booting up now. If the hard drive has its file integrity compromised, it is possible to use built-in Windows CHKDSK utility to scan the disk and fix the file system errors. 1. 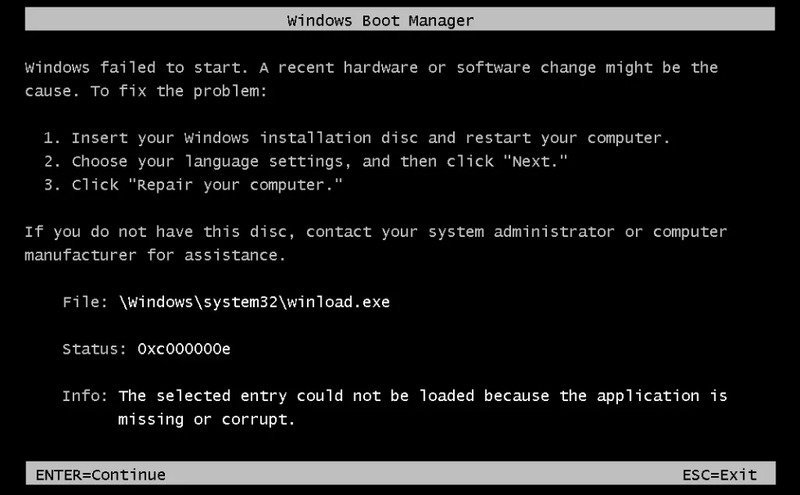 Boot from your Windows install disc. 2. Click on Repair your computer after selecting proper language, time and keyboard input. 3. Select the Windows installation drive, which is usually C:\ , and click Next. 4. Choose Command Prompt when the System Recovery Options box appears. 5. Write “chkdsk C:\ f” and press Enter. Replace C: with the letter of the driver where Windows is installed.